Whether you’re looking for a single desk or room for the whole team, Alloy Collective is the next place to explore your passions and grow your business. We offer dedicated open workspaces on the 1st and 2nd floor of our building, and all desks include full access to the amenities on each floor—including rooftop and courtyard access. Our rate is $500/mo per person. 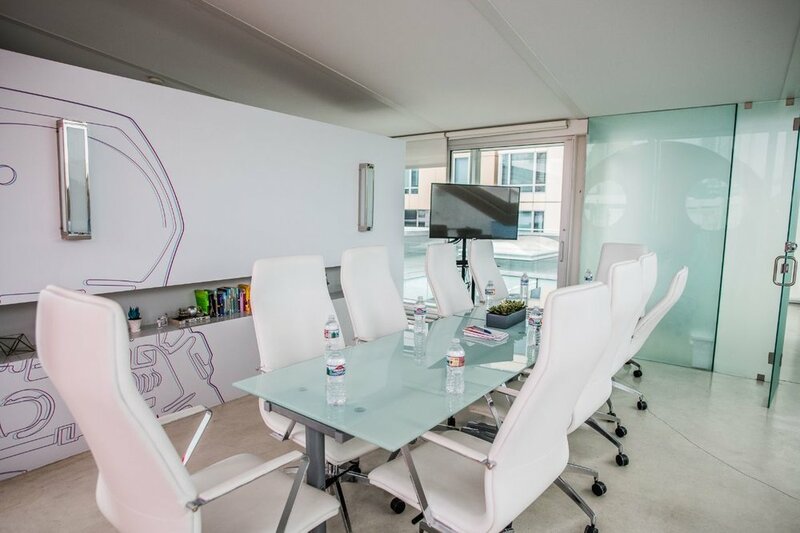 Our 1st floor workspaces are located on the same floor as the conference room and can host up to 70 desks, making it better for larger groups. Our 2nd floor desks are located on the same floor as the kitchen and the courtyard. There are up to 50 desks located on this floor, which is more suitable for smaller groups. Each dedicated desk is $500/mo per person. Office supplies onsite including whiteboards, extra desks, etc. Not sure which to choose? Want to get a feel for our space? We’ll be happy to show you around!